Matt bring his extensive management experience from the hospitality and catering industry to CAT, along with a passion for excellence and good customer service. 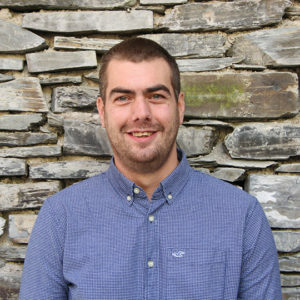 Responsible for the operations of the Cafe, Accommodation, Gift Shop and Visitor Centre, Matt brings with him a vast amount of experience within the Hospitality and Catering Industry. He initially embarked on a career in the chef industry, working in a variety establishments, including a Michelin starred Restaurant, to build up his experience. After deciding he was much more of a people person Matt moved into a customer facing role to begin his career in management. On joining Marstons he started an intensive management training programme taking him across the country running pubs, restaurants and hotels. But in 2018 he decided to end his time pulling pints and joined CAT as Head of Operations and has never looked back. Outside of work Matt is a keen sportsman, with a particular passion for Volleyball and Basketball. He has recently taken up a new interest in gardening and now enjoys growing vegetables in his allotment. Matt is never far from his roots, and is often found in the kitchen experimenting with new foods and flavours, and is particularly fond of the Indian Cuisine and Scones!